I love cars. I love cars like the Ford Mustang and the Alfa Romeo 8C and the Lamborghini Aventador. One is a muscle car, one is a sports coupe, the last is a supercar. The point is I love cars. However, I am more broke than the ladybugs who are living in my dorm room because they can’t afford heat in their ladybug homes and because I’m broke, the closest I get to any sort of cool car is through video games. The Need for Speed games are some of the best by offering a bunch of real cars and options to customize them. Even though I absolutely love cars and know quite a bit about them, there is something so enjoyable about wrecking a car in a video game. There’s a map on Need For Speed: Shift 2 where you can reach almost top speed before a turn with a gravel trap so when you slide your car sideways at the last second, it catches the gravel and flips your car and completely tears off all the body panels. The problem is that, in the back of my head, I know the damage models are limited by my PS3’s hardware. That’s why I am so excited about the possibilities of a new and relatively unknown game offers for the future of damage models. That Dent Will Buff Out…Right? 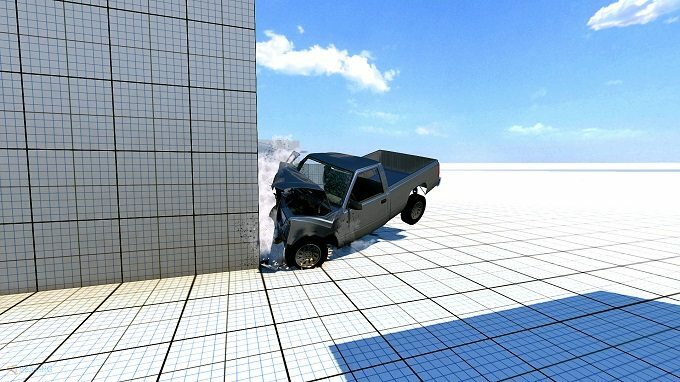 The game is called BeamNG Drive and they have created the most realistic and efficient damage model. They have created a damage model that will provide realistic and unique damage to a car every time you crash it because it reacts the way a real car would. It renders each individual piece of the car, from the front bumper to the brake calipers, and imposes the forces of physics and gravity of the real world on each separate part which is different from other damage models that have to limit the effects of physics on the car due to hardware constraints. Other damage models have to limit the pieces of the car so that there isn’t too much to handle when you hit a wall at 150 mph. In other words, with Drive, you get to crash cars as if you are playing God. 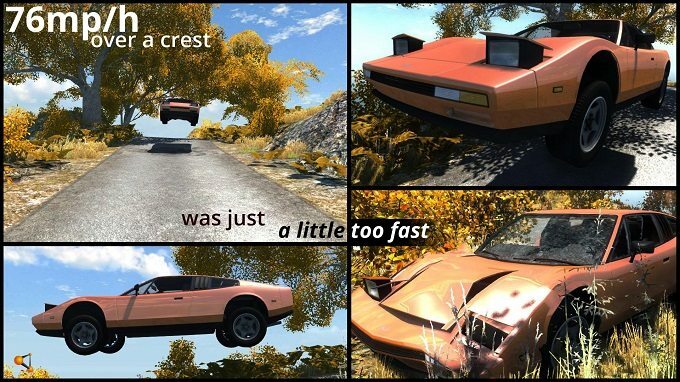 If you get a car going fast enough, you can literally flatten it. So the damage model is groundbreaking, what else can you do? At this point, nothing really. The game is in a testing phase, it’s not actually a full game yet and it’s only on PC. You can download a technical demo for free and try it out for a little bit and move on or decide to buy the game in its testing phase with a promise to get every update and the full game when its released for $15. Not a bad deal but I did just say all you can do is crash cars. However, the limit on this is your own imagination. You can download maps and cars and anything else you can possibly think of, like a truck with a top speed of 300 mph, or you can just play in your own sandbox for as long as you want. They’ve added an artificial intelligence to the game which provides even more options. You can download police cars, set the AI to chase you, and have a police chase until your car gets totaled and then instantly reset everything and do it again. It really is up to you. The community that BeamNG has facilitated is focused on making the game better in every possible way while also being kind to each other. Drive is a great playground. 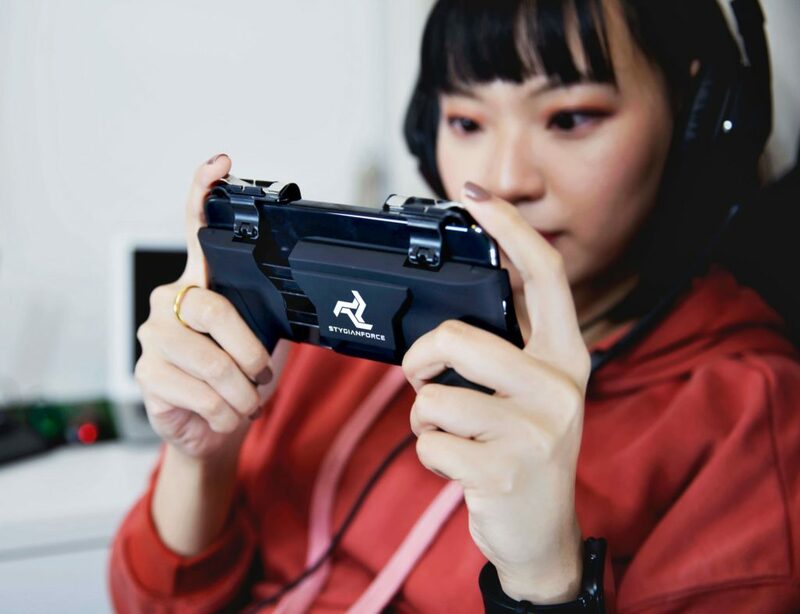 The damage model alone should be enough to entice anyone who loves playing a car game but I can’t in good conscience give it a score because I wasn’t reviewing a game, I was reviewing the testing phase of a game that has yet to be focused. Maybe it’ll be like Need for Speed, maybe it’ll be like Grand Theft Auto, maybe it’ll be like Far Cry, I just don’t know so I can’t give the testing phase a proper score like I would a published video game. I definitely recommend Drive to anyone with a halfway decent computer system and a love of cars and I do have confidence that Drive will flourish into a spectacular end product but until then, it does not get a number score.